Download DA Form 1045, also known as The Army Ideas For Excellence Program (AIEP) Proposal. This form is designed for soldiers and employees to submit ideas to improve current procedures. This is the standard procedure for submitting ideas for change by voluntarily participating in the improvement of management. It’s created to encourage change in policies and procedures that no longer facilitate good management. 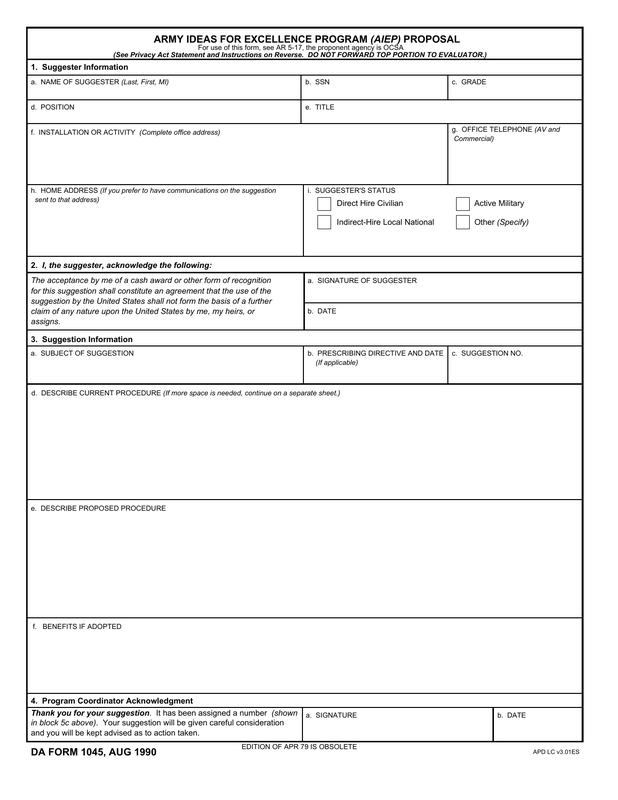 The form below is fillable online or printable for manual use and/or sending.